At the heart of the famous Three Valleys ski area Meribel is one of the premier resorts in the world. Meribel is celebrating its 80th anniversary in 2018, having retained the pretty, chalet-style architecture and friendly character of the resort since it was founded by British skier, Peter Lindsay in 1938. 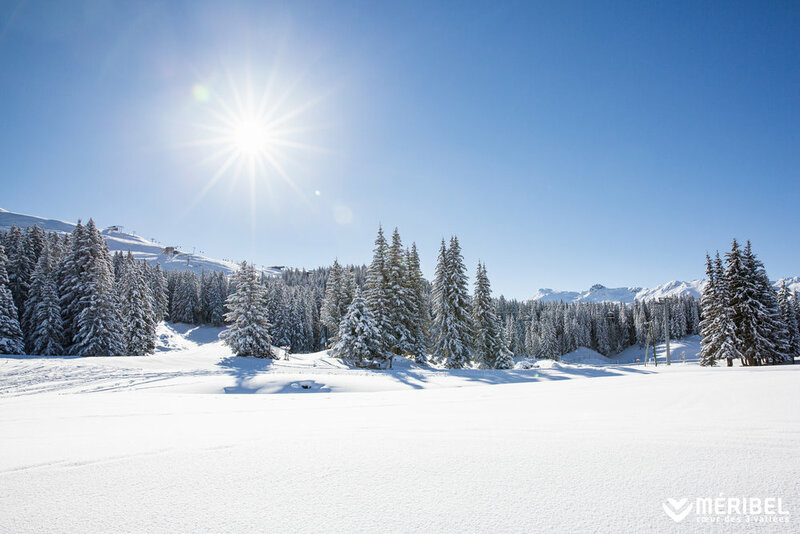 The Meribel valley offers exceptional skiing in it's own right, which when combined with the Courchevel and Val Thorens valleys creates arguably the best linked ski area in the world. The legendary skiing is complimented by the first class facilities, chic bars, Michelin-starred restaurants and infamous aprés ski with live music - making this the perfect destination for groups of all ages. There's plenty going on for non-skiers too, with a twice weekly market, as well as plenty of boutique shops filled with ski gear, local wines and cheeses, and our favourite chocolate crepés! The Olympic Centre (built for the 1992 Winter Olympics) offers swimming and a spa, an indoor ice-rink, fitness centre, and climbing wall. Snow-shoeing, horse-sleigh tours, husky-sledding, ice-climbing and snowmobiling are also available, or you can buy a pedestrian lift pass, or take a hot air balloon ride to admire the views from above... the options are endless! The resort of Meribel is easily accessible from the UK, located 83 miles from Geneva. Speak to us about organising an airport transfer, whisking you from the airport to the seemingly endless terrain of the Three Valleys. Our concierge team or our in resort staff can help you make the most of this fabulous ski resort.